OUR OFFICES ARE OFFICIALLY CLOSED FOR 2013! SEE YOU IN 2014! We resume to regular working hours on Thursday, January 2, 2014! 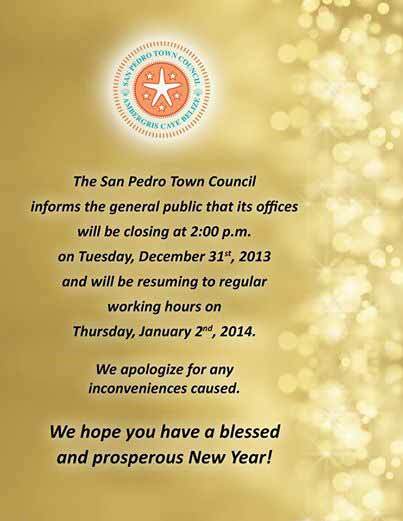 Monday - Thursday from 8:00 a.m. to 5:00 p.m.
From everyone at the San Pedro Town Council, we hope everyone has a blessed and happy New Year!